Firm or Supportive Sofa Bed Mattress? Learn About the Differences! So, you’re thinking about buying a replacement sofa bed mattress. 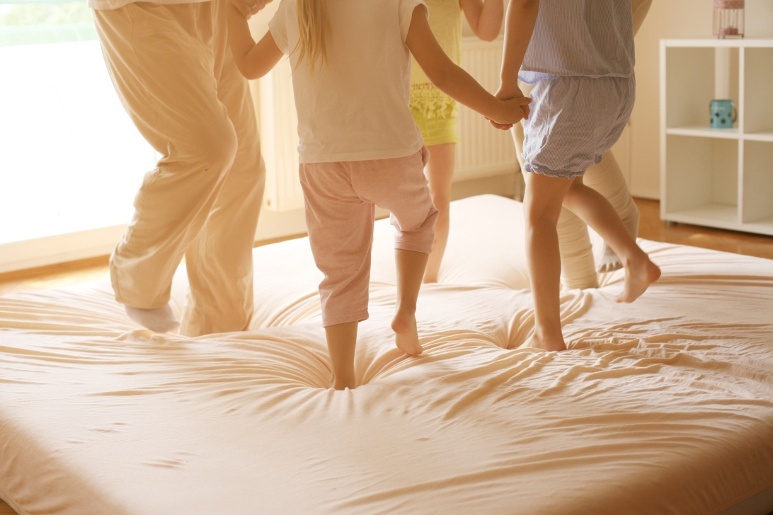 When you talk about mattresses, words like support and firmness are always part of the discussion. Although the words may seem interchangeable, they mean very different things. Firmness is a preference, but support is a requirement. This is true no matter what type of mattress you are looking for, but it becomes even more important when we talk about a sleeper sofa mattress. To understand the impact of firmness and support in a hide a bed mattress let’s first define what they mean. Mattress support describes how well the sofa mattress is able to support your body during sleep. A supportive mattress provides enough thickness and hold to support your body weight and prevent you from feeling like you spent the night on the floor. Poor support in a sofa bed mattress can cause more problems with sleep quality, quantity, and daily aches and pains than almost anything. Lack of support in your mattress causes poor body positioning during the night, which results in more tossing and turning and less restful sleeping. Firmness in a mattress is a term used to measure how firm or soft the mattress feels. While support affects everyone, firmness is more a matter of preference and perspective. Some people prefer a firm sleeping surface and others like to sleep on something softer. Firmer sleeper sofa mattresses have a harder or stiffer feeling and greater pushback when laid on. There is more solidity and less sinking. You tend to sink into a softer mattress, making it a good fit for someone who prefers comfort and contour. A softer mattress can still be supportive but will offer more flex and cushion. When choosing a sofa sleeper mattress, support should be one of the top considerations. In a sleeper sofa mattress, this is even more important because the mattress must be thinner. The best choice is a supportive, high-density foam version as it will prevent you from feeling the bar through the sofa bed mattress. With regards to firmness, statistically, men tend to prefer firmer mattresses, but preferences can vary from person to person. In the case of sofa bed mattresses, in order to not feel the bar, you should choose a high density foam (minimum 1.8 pounds per cubic foot) with a high firmness (above 41 IFD). A supportive mattress made of high-quality foam will offer you the support you need for a peaceful sleep and a comfortable morning. While a firmer mattress is recommended, there are firmer and less firmer sleeper sofa mattresses (for example our Gold sofa mattress has an IFD of 48-50 while our Platinum sofa bed mattress has an IFD of 41), thus you can select the firmness you prefer with varying weights of foam cores, allowing you to customize your sleep solution, without compromising comfort. The right combination of softness and support will ensure your sleeper sofa mattress is comfortable enough for everyday use!